Who throws away rocks that make pretty cabochons? Even if they're little, they can be enjoyed by SOMEone. I don't know what this material is, but I can guarantee it's been RESCUED. 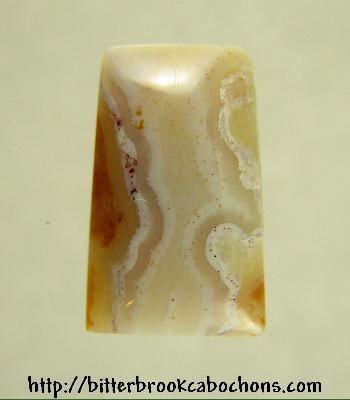 And if you buy any Ocean Jasper cabochon with this one, it's FREE (refund given at shipping time). 14.5mm x 9mm x 3.5mm. Weight: 3.85 carats.